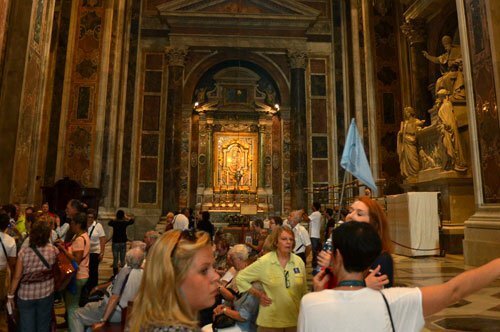 St. Peter's Basilica: enjoy your tour with a private guide! 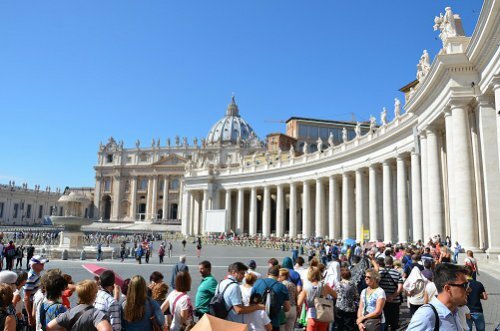 WHY VISIT THE St. PETER’S BASILICA? If you have the opportunity to visit the St. Peter’s Basilica, you will surely be impressed by its majestic dimensions. Imagine seeing the central nave with its little more than 186 meters long and the incalculable amount of stones used to build the Basilica. The internal structure is a Latin cross, with decorations, stuccos, statues and mosaics in a purely Baroque style. The pillars that support the central nave have tiles with niches that contain the 39 representations of the founding saints of the Orders and Religious Congregations. Among the many masterpieces found inside is the wonderful statue of Michelangelo's Pieta. The St. Peter’s Basilica was built from 1506 to 1626; Pope Julius II began its construction and ended with Pope Urban VIII. Before the current basilica, in the same place, there was another that dates back to the 4th century and was built by the Emperor Constantine I. This was where the martyrdom suffered by Saint Peter during the great persecution of Christians by Nero took place. In this basilica, Charlemagne was crowned as emperor of the Holy Roman Empire and, always this basilica was the goal of the pilgrims who were to venerate the tomb of the "Prince of the Apostles". At the beginning of 1500, the architect responsible for the reconstruction of St. Peter’s Basilica was Donato Bramante, who after his death was replaced by Michelangelo in the construction of the Basilica. Michelangelo maintained the central plane desired by Bramante and carried out the project of the great dome. On the death of Michelangelo, Maderno was commissioned to complete the construction of the basilica, and at the beginning of the 1600s, he added two arcades to Michelangelo's project, transforming the Basilica floor plan into a Latin cross and made a classical façade. 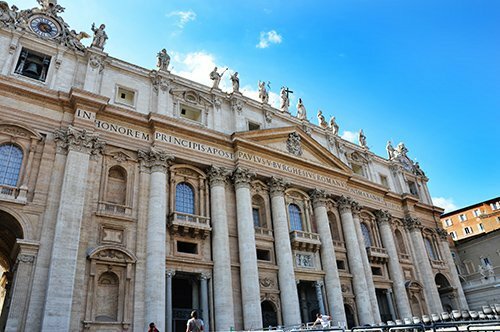 WHAT IS THE St. PETER’S BASILICA NOWADAYS? The St. Peter’s Basilica is one of the largest churches in the world and is crowned by a large dome that was designed by Michelangelo. The Basilica is the symbol of the Vatican City and is the center of Catholicism, a place where the main Catholic functions are celebrated. 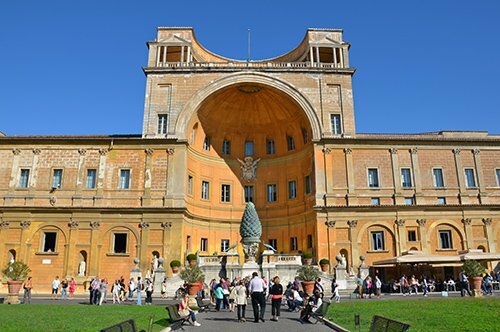 It is possible to visit the building in all its parts and is connected to the Vatican Museums through an elevated corridor. The façade, created by Carlo Maderno at the beginning of the 1600s, has giant columns that delimit the openings. Also on the facade is the Loggia of the Blessings, from which the name of the new Pope is proclaimed to the faithful after their election. Around the square in front of the Basilica, we find a portico with 284 columns, this work by Bernini forms a symbolic embrace offered to the faithful who come to admire the Basilica. The last door on the right through which you enter the Basilica, is called "Porta Santa" Holy Door made by the sculptor Vico Consorti. Did you know that the "Holy Door" opens only on the occasion of the Jubilee? According to the tradition of the Bible, this represents the place of the crossing towards good, compared to Christ leading the sinners to the heavenly city, thus pardoning their earthly faults. Did you know that Saint Peter, the saint from whom the Basilica is named, was one of the 12 apostles of Jesus and is considered by the Catholics the first Pope? Peter was the one Jesus chose as a point of reference, the "stone" on which to found the Church. 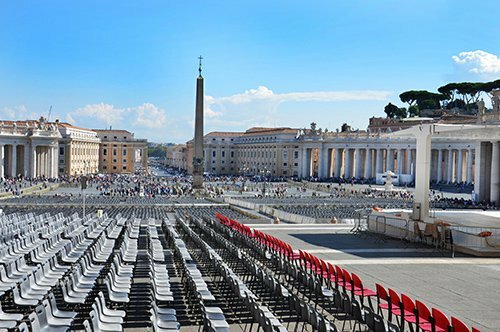 HOW TO VISIT ST. PETER’S BASILICA? 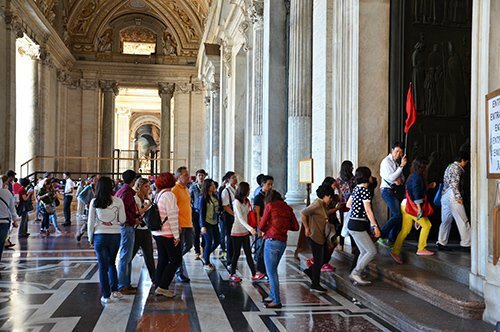 The entrance to the St. Peter’s Basilica is free, but you can take advantage of the fast track entry by booking a guided tour in a group or a tour with a private guide. 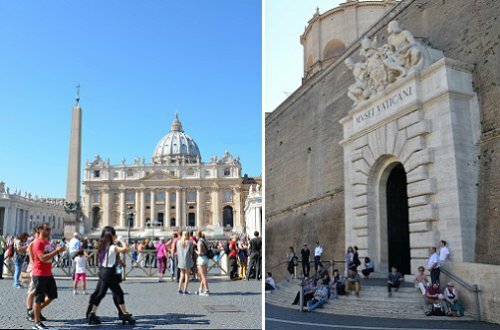 If you have time to discover the treasures stored in the Vatican City, we advise you to participate in the tour of the Vatican Museums and St. Peter’s Basilica (lasting approximately 4 hours), either with a fixed starting time or privately. If instead you prefer to visit only the basilica, you can do it in total autonomy by pre-booking your audio guide or you can participate in the group visit, of about one hour, with different times available throughout the day. 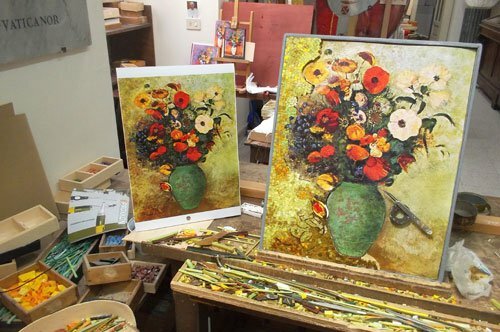 A very interesting guided tour is also the one that includes the entry to the Vatican Mosaic Studio, where it is possible to admire the work of great artists while creating beautiful mosaics. For those who wish to visit the Basilica following the explanations of a dedicated and exclusive guide, it is possible to book a private tour. If you visit the St. Peter’s Basilica, you are inside the small city-state of the Vatican. 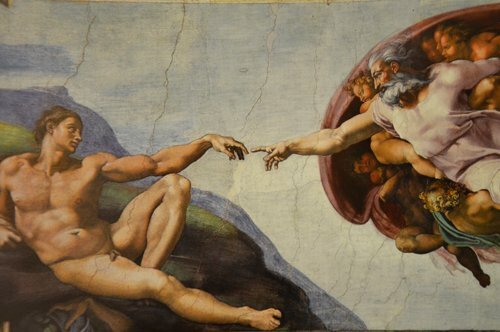 Here you can’t miss the beautiful Vatican Museums that contain a large collection of works of art in addition to the famous frescoes of the Sistine Chapel. Within the Vatican City it is also possible to visit the Vatican Gardens. 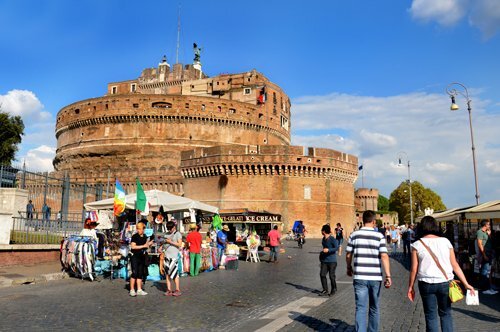 Leaving the Vatican City and using the Map of Rome, you can arrange your itinerary with beautiful visits to the monuments and the most important places of the eternal city. A monument that you can’t miss is without a doubt the Colosseum, the ancient Roman amphitheater famous throughout the world. Not far from the Roman Colosseum, you can visit the ruins of the Palatine and the Roman Forum. To understand what life should have been like in the Imperial Rome, visit the great complex of the Caracalla Thermal Baths, a very popular place in ancient Rome. You can also visit other examples of ancient Rome such as the Catacombs, the Tomb of Cecilia Metella and the archaeological site of Villa dei Quintili.  Very interesting to visit are also the four museums that make up the National Roman Museum, which are the Palazzo Massimo, the Palazzo Altemps, the Baths of Diocletian and the Crypta Balbi. 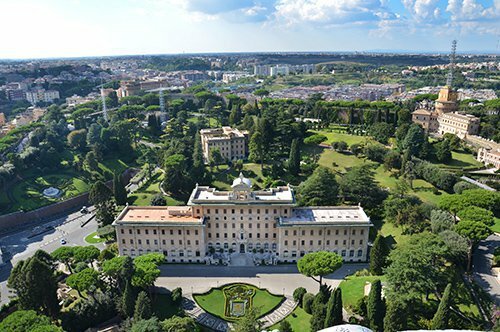 Within the park of Villa Borghese, you can visit the fascinating Borghese Gallery and, if you wish to immerse yourself in ancient art, visit the Capitoline Museums. Among the most sumptuous monuments of Rome are the Altar of the Fatherland, the Trevi Fountain, the Pantheon and the monumental Castel Sant'Angelo, from where you can enjoy a spectacular view of the city. It is also possible to visit the Ara Pacis, a modern museum created specifically for this monument that has been preserved through time. 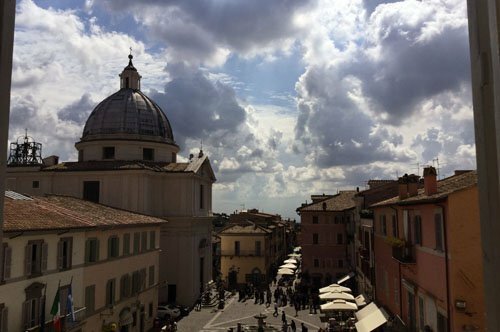 If you are interested in going out to the outskirts of Rome, you can find several very interesting and characteristic places such as Villa d' Este in Tivoli or the village of Castel Gandolfo in the Albano Lake.